Redgannet’s repeated attempts to eat stuff that was bigger than his own head brought exasperated warnings from his long-suffering mother. As an adult, he still finds fascination in watching birds swallow seemingly impossible mouthfuls. 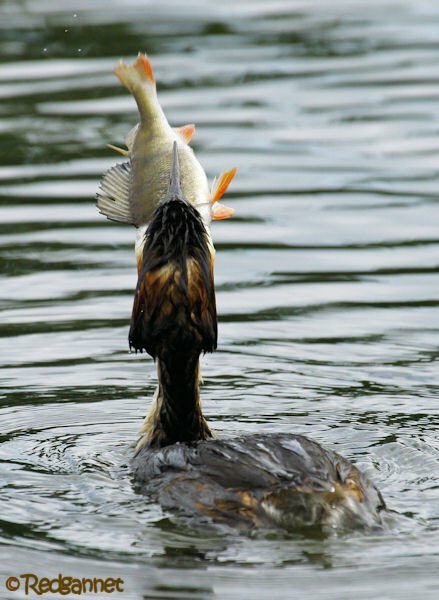 First there was the Glaucous-winged Gull and the starfish, next, the Neotropic Cormorant with a plecostomus catfish. 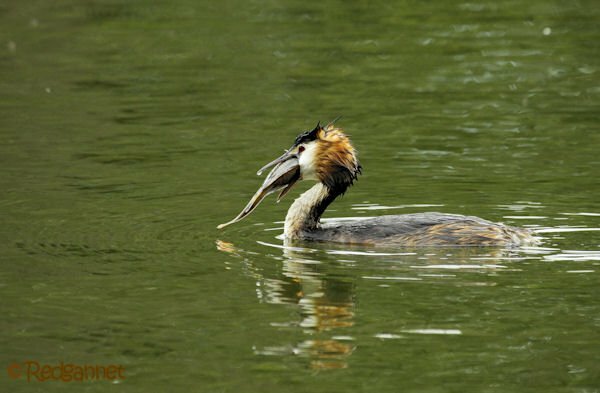 Now, the Great Crested Grebe and the perch. Perch are a fresh water species of fish that are native to Europe and N. Asia, but have been introduced elsewhere. 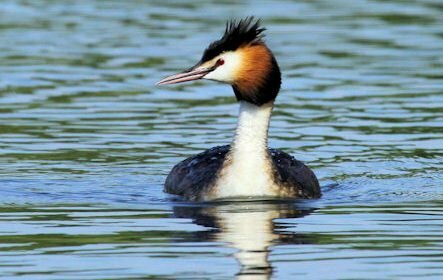 The Great Crested Grebe can be seen across much of the world, but not the Americas, which is a shame because you guys would love this bird. 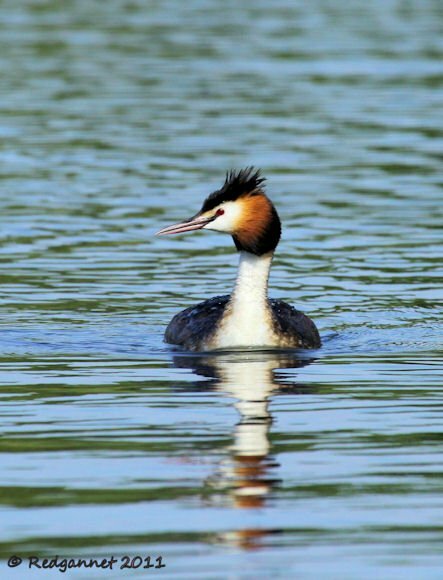 This particular one was seen in Mote Park, close to my home in Kent, UK. The post is also dotted with photos from another visit as today’s pictures did not capture quite how much the Americas should rue the fact that they don’t get to see this bird. Lady Gannet and I were taking a turn around the lake when the grebe surfaced with the perch. I used to fish for perch and know them to be a spiky character. The dorsal fin has stiff spines which can pierce a clumsy angler’s palm, but when raised they can be a defensive mechanism to avoid being swallowed. However the spines can act against the perch and prevent it from being disgorged once the spines pass the entrance to the mouth. 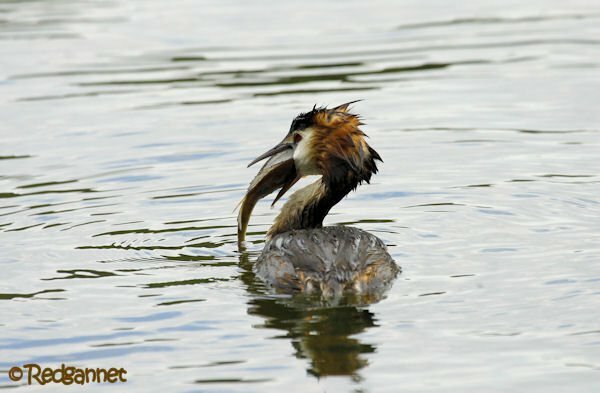 The grebe was struggling to get it down and dove back beneath the water a couple of times to try and force the fish in. But now the Black-headed Gulls had cottoned on to a potential meal and were harrying the grebe in an attempt to steal it. 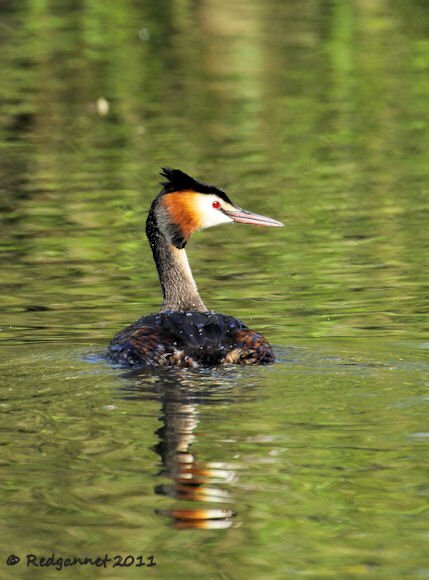 The grebe was spending more time beneath the water than above it and by the time it eventually managed to get its meal down, it had taken itself off to the far side of the lake. It joined its mate a little later, seeming quite content to tuck up and drift in the gentle breeze. What a great way to spend a warm afternoon.